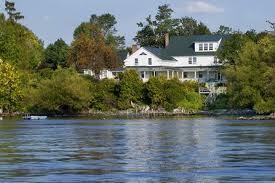 Lake Champlain, one of the countries largest freshwater lakes, is one of the greatest aspects of Vermont Living. The lake runs along the western border of Vermont, and provides unlimited access for aquatic activities. Many homes feature Beach Access, some have docks as well. Available Vermont houses with Beach Access on Lake Champlain, or one of Vermont’s many beautiful lakes are listed below.